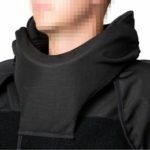 Cell Extraction Vests (Suits) are designed to offer the highest level of protection to those frontline professionals engaging with some of the most hostile, brutal, vicious and irrational human beings on this planet… many of which have taken other human lives in some of the most horrendous manner. When we decided to create such crucial piece of personal protective equipment it was paramount to first discuss all design and performance issues with Correctional Emergency Response Teams (CERT), Tactical Support Units (TSU) and other serving Corrections and Prison Officers tasked with responding to incidents, riots, cell extractions, mass searches, or disturbances in prisons, possibly involving uncooperative or violent inmate. However, before I continue I want to say a big ‘thank you’ too all prison and correctional officers who have kindly taken the time to assist us and provide us with absolutely critical information and sharing some of their operational frontline experiences. There is no question about it, professionals like them have above all the moral right to be issued with the best possible personal protective equipment… and I do genuinely believe our latest PPSS Cell Extraction Vests are the very best. Of course, I very much understand frontline professionals critically questioning my claim to have just developed what we believe is the ‘toughest’ cell extraction vests on the market. 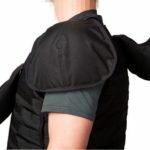 However, I would like to respectfully point out that we have already developed some of the arguably world’s best body armour, effectively reducing the risk of workplace violence related injuries and even death. Every time we have done so we have also created specific, transparent and honest videos highlighting the incredible performance levels of our equipment and the fact that we truly believe in our own products. About three years ago we did it all over again! This video not only highlights the incredible level of protection from makeshift edged weapons, shanks, razor blades, hypodermic and tattoo needles (all weapons commonly found in correctional institutions around the world), but also the truly unmatched level of protection from blunt force trauma. Blunt force trauma is – as its name would suggest – a severe traumatic assault in this case caused to the body with the sudden introduction of a blunt instrument used with great force. This can sometimes be caused by a kick, punch or blow, or by an attacker striking out at a victim with their hands, a large piece of wood, iron, or any item (fire extinguisher, chair, table, bricks etc.) that would cause heavy damage to the body or skull if impacted against them quickly. A great number of individuals who die from this condition do so because of the internal injuries they have received, which may result in nothing more than some exterior bruising. 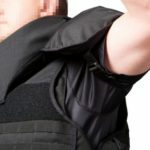 We fully understand that the protection of such injury is just as important as the protection from edged weapon and hypodermic needles, hence our cell extraction vests (suits) offer a previously unheard of level of blunt force trauma protection. Body moulded collar parts providing extensive and complete wrap-around neck protection. Design allows wearing the garment open and semi-secured in a state of readiness, to avoid heat stress and discomfort during periods of inactivity. Design allows fully securing of the garment is extremely simple and fast. Outer cover includes Molle webbing over the greatest possible area of the front and back. Covers are made out of military spec Cordura® 1000D and include Molle webbing over the greatest possible area of the front and back. Based on several reports and studies the ‘American Correctional Officer’ released a document a few years ago highlighting the fact that 33.5% of all assaults in prisons and jails are committed by inmates against staff, and that a correctional officer will be seriously assaulted at least twice in a 20 year career. Our job is to design, develop and manufacture high performance cell extraction vests (suits) that will reduce the severity of the any potential injuries and the number of death within this demanding and challenging work environment. Another recent incident which made the headlines was when 7 inmates were killed in a ‘mass casualty incident’ at South Carolina prison. At least six emergency agencies responded to the “mass casualty incident” at Lee Correctional Institution in Lee County that resulted in the seven inmate deaths and 17 other inmates requiring medical attention, the S.C. Department of Corrections announced. For this simple reason we encourage all prison and correctional facilities to look at their current PPE (personal protective equipment) and evaluate the protection levels and performance they provide.